Jackson Hole Vacation Deals & Savings | Save Big Today! Book Direct for Best Ski Deals Available This Winter! There's only one thing that could make a stay in Jackson Hole, Wyoming even better -- Jackson Hole lodging deals! The White Buffalo Club, Jackson Hole's premier downtown luxury hotel, has them in spades. 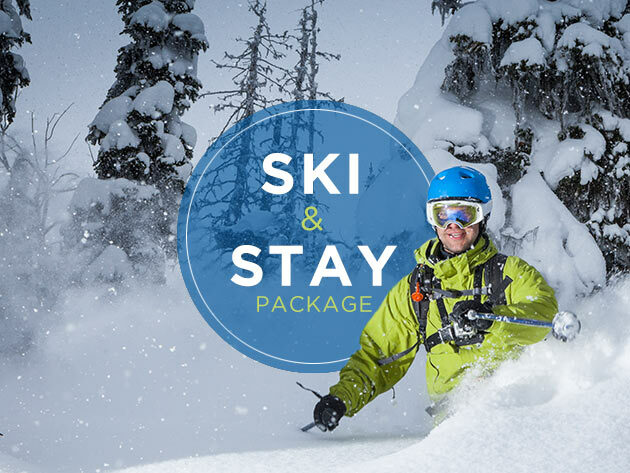 Whether you're looking for a quiet vacation in a pristine location or an exciting ski adventure, our packages and promos put the trip of a lifetime well within your budget. All of our rooms enjoy complimentary Ski Shuttle, Wifi, Continental Breakfast, and Parking. Book now and save 25% off spring travel. Offer is valid for stays between March 11 to May 6, 2019. Minimum length of stay restrictions may apply. Our downhill ski packages offer lodging at the White Buffalo Club and lift tickets at Jackson Hole Mountain Resort. By staying downtown you get the best of both worlds: World class skiing at Jackson Hole Mountain Resort and easy access to all of the shops, galleries, and restaurants that downtown Jackson is known for.